This week’s column answers a question about using ORCA cards to transfer between bus, light rail and streetcar trips, and explains the process by which people can report poor conduct by Metro bus drivers. As a Lyft and Uber driver, Terry Murphy of Ballard says he sometimes spots Metro Transit buses running red lights or illegally blocking intersections while he’s toting passengers around the Seattle area. In this week’s Traffic Lab Q&A, we lay out the process for which people, like Murphy, can report bus drivers they believe aren’t following the rules, and we answer a Bellevue reader’s question about fares for transferring between different types of public transit. Q: Can you use ORCA cards to transfer between buses, light rail and street cars? Originally, I heard riders must purchase a whole new fare for light-rail trips, but I recently read something that suggested people can transfer from buses or streetcars to the light rail if they have paid the right amount. ORCA card holders can transfer between light-rail, Sounder trains, buses, Seattle streetcars and the Vashon Island or West Seattle water taxis within two hours after first using the card. Note: Washington State Ferries and Seattle Center Monorail trips aren’t included. For transfer trips costlier than the initial fare, riders must pay the difference with cash or their ORCA card, which works like a prepaid debit card. Its minimum value is $5 and maximum is $300. Most fare differences for King County trips are less than a dollar, King County Metro Transit reports. For passengers planning multiple transfers throughout the day, they may want to consider an $8 ORCA day pass ($4 for seniors and riders with disabilities), which allows unlimited travel if the full fare is $3.50 or less for each trip. For more expensive trips, such as Sounder commuter-rail trips longer than Seattle to Kent, the system charges users the fare difference. A PugetPass, which can be loaded onto an ORCA card and is good for a month’s worth of trips, is similar. The cost of the pass depends on the value of the trips being purchased. For example, $90 buys a month of unlimited rides for fares that are $2.50 or less each. People with ORCA LIFT cards — which allow low-income residents to pay a flat $1.50 fare — are an exception to the transfer rule. 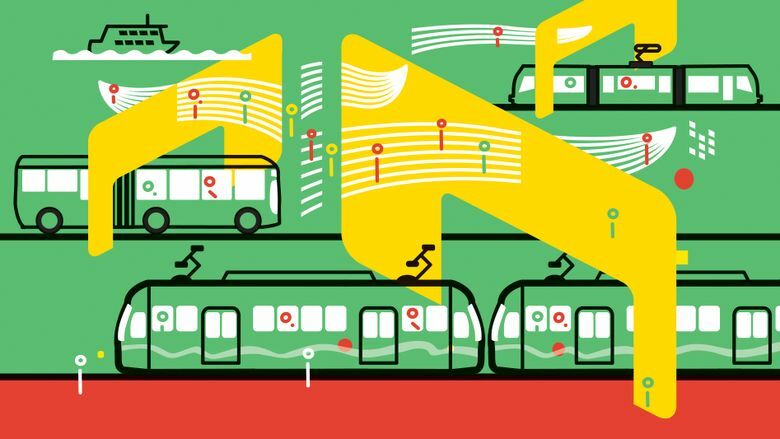 Riders aren’t charged an additional fare when hopping between Metro buses, light rail, streetcars or Sound Transit one-county buses. But other transfers, such as ones that span counties, may require an additional payment. Cash-paying riders must purchase full fares when transferring between light rail and bus. You can buy an ORCA card in a variety of ways, such as from ticket-vending machines across the Puget Sound region or a select group of retailers. Visit orcacard.com for more information. Q: Does anyone oversee bus drivers’ behavior? I have seen buses run red lights, be overly aggressive and generally rude. A: Yes, Metro does keep an eye on its drivers. Last year, Metro received 10,510 complaints related to bus operators, an annual average of about 80 per 1 million boardings, according to data provided by Metro. A portion of those complaints, though, were found inconclusive or invalid. The most common complaints about bus drivers focus on driver conduct or skill, as well as buses missing stops, failing to show up, or arriving too early, the agency said. To make a complaint, you can complete an online form via Metro’s customer service webpage, or call 206-553-3000. You’ll need to provide details that include the incident’s time, date, location and route information. What happens to those complaints? “Each complaint is documented and investigated,” Metro spokesman Scott Gutierrez said in an email. Roughly half of Metro’s 1,418 buses are equipped with cameras, so officials typically review available footage to assess complaints, he said. The agency doesn’t use the cameras for routine surveillance of drivers, he said. Of last year’s thousands of complaints, Metro officials found 29 percent valid, according to the data. When that happens, they’ll ask the driver to explain his or her behavior, Gutierrez said. And after that, depending on the incident’s severity and the driver’s work history, Metro officials will determine next steps, which could range from additional driver training to termination, he said. As for bus-driver supervision, each driver reports to what’s called a base chief, who provides coaching and discipline when warranted, along with other managerial duties, Gutierrez said. Every base chief oversees roughly 100 drivers. More routine issues, such as the handling of mechanical problems or passenger disputes, fall under a different group of first-line supervisors, who sometimes ride buses or travel to route sites, Gutierrez said. Staff at the agency’s Seattle-based Transit Control Center also provides driver supervision. To become a bus driver for Metro, applicants must have a five-year driving record free of certain traffic offenses, including reckless or negligent driving or a suspended license due to moving violations, according to the agency. Applicants must pass exams to obtain a learner’s permit to operate a commercial vehicle, which precedes getting a full commercial license, if they haven’t done so already, Gutierrez said. Other hiring steps also are required. Before carrying passengers, drivers undergo about five weeks of training that includes time in a classroom where they learn customer-service practices and Metro policies, he said. Metro employs 1,822 full-time and 983 part-time drivers, he said. Missed last week’s Q&A? We highlighted state efforts over the past decade to curb serious car crashes and dangerous driving on Highway 2 after a reader from Woodinville contacted Traffic Lab asking for an update. If you have a question or idea for Traffic Lab, send it to trafficlab@seattletimes.com. We may feature it in an upcoming column.